Hanna Andersson is a company that began with a mother's search to find beautiful quality pure cotton baby clothes in the US. Seeking a simpler life, Tom and Gun Denhart began a mail-order business about 28 years ago using their garage as a warehouse for importing the soft, durable children's clothes that Gun Denhart had grown up with in her native Sweden. The company is named after Gun's grandmother who taught her the Swedish tradition of choosing the best quality she could find so they would last and last. 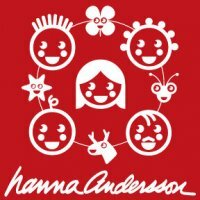 Since it's small beginnings in 1983 Hanna Andersson has grown to well over 27 stores throughout the US, a handful of outlet stores and of course their amazing website carrying thousands of their Swedish inspired items. Hanna Andersson will be sponsoring a very nice giveaway prize in my upcoming event Summer Splash which shall begin May 14th and end on the 27th so don't forget to subscribe to Mama Nibbles if you have not already. You will find some coffee cup looking buttons on the top right of my blog, just pick your fave social media and following is as easy as pie. The swimsuit selection at Hanna is vast and you won't have any trouble finding a suit that I'm sure you will love. The weather is getting warm here in Michigan and summer is so close I can almost feel it! I'm sure everyone is getting geared up for the warmer weather. 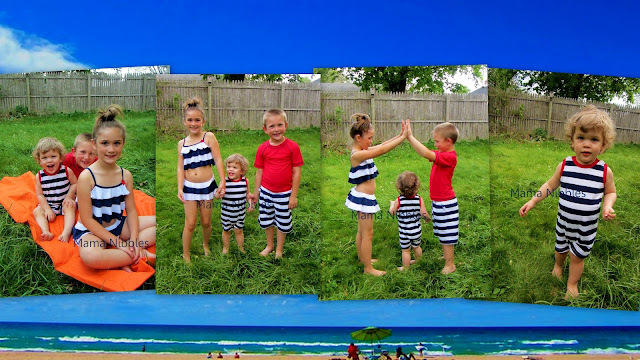 Our family enjoys spending our lazy summer days at the beach swimming and playing in the sand together. We need swimwear that will last the whole summer and that fits right. I have found that Hanna's swimwear is some of the highest quality you can buy. The thickness of the material, the perfect sizing and cut, lasting colors that barely fade, the way the materials hold their shape, the adorable patterns...the quality is just outstanding! The price might seem a bit high at first but you are paying for quality that will last. Hanna always has great sales going on so don't worry, you can find prices in your range if you shop those. We have fallen in love with Hanna Andersson and highly recommend! My daughter is wearing Little Star 2 piece suit, older son is wearing red Sun-Ready Rash Guard and Swim Trunks with UPF 50+, our baby boy is wearing the navy/white So Breezy Baby Tanker.